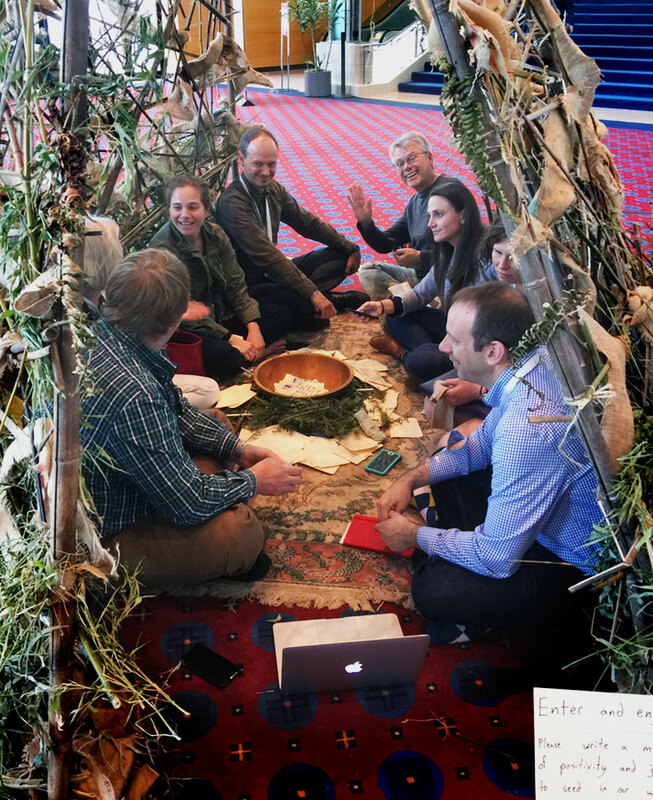 Working session of the LEED Materials Technical Advisory Group, taken at the 2018 Living Future unConference in Portland, Oregon. “LEED is constantly evolving, and we are proud to remain ahead of the curve on this major shift in building occupant behavior. We’ve always recognized the unique needs of the [marijuana-using] community, starting back in LEED NC 1.0 with the Stairwell Roof Access credit. Next came the Dimmable Lighting credit in LEED 2.2, which led of course to an entire Schools rating system in LEED 2009,” said USGBC Senior Vice President Brendan Owens. Owens noted, however, that the current system is “half-baked, and a bit of a hash,” and that the time has come for a more comprehensive approach. The newest LEED iteration, LEED v4.20, includes a sheaf of new prerequisites, making cannabis compliance no longer optional. This prerequisite straddles the Water Efficiency and Energy categories, requiring buildings to provide plumbed, south-facing spaces for hydroponic cannabis cultivation. All occupants have 24-hour access to a kitchen (1 point). Building is within ¼-mile (400 meters) walking distance of a grocery store, drugstore, or mini-mart (2 points). Building is within delivery range of a pizzeria or Chinese restaurant, or in an area served by Grubhub or Uber Eats (3 points). Building is within ¼-mile (400 meters) walking distance of two or more late-night food trucks (3 points) or a Girl Scout cookie kiosk (4 points). The LEED Dynamic Plaque, redesigned for LEED v4.20, has proven exceptionally popular among building occupants of all ages. Photo: U.S. Green Building Council. LEED v4.20 also introduces a new LEED Dynamic Plaque, and projects can earn up to 5 points for each additional plaque displayed. 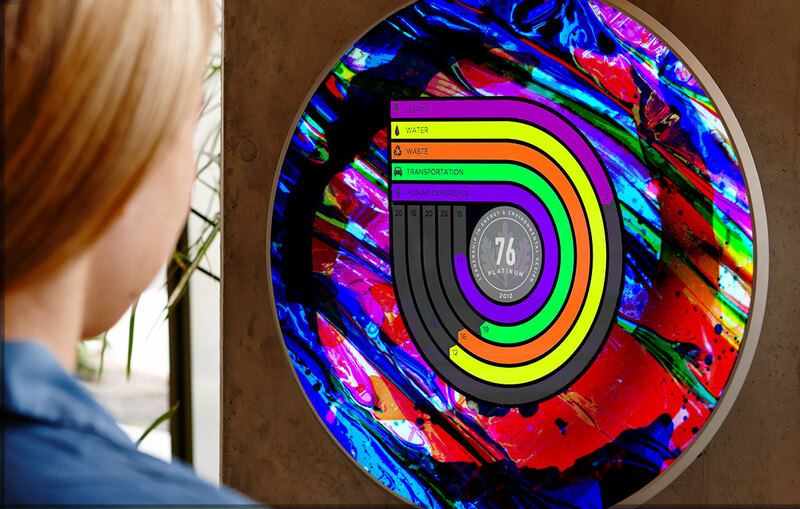 The new plaque, which was jointly reimagined at last year’s USGBC Leadership Retreat in Boulder, Colorado, features a vibrant color scheme with interactive controls to promote occupant engagement. In a pilot program, the new plaques were installed at a suburban high school, a Silicon Valley startup, and two nursing homes, and according to Owens the response has been highly enthusiastic. While USGBC congratulates itself for taking the early lead on cannabis, representatives from other rating systems maintain they’ve long since taken marijuana use into account. LOL--the best ever! Once again, you have outdone yourselves in the April 1 issue! Thank you for your contributions this day, every year. Hilarious! Very wise to be close to a Girl Scout cookie kiosk. No half-baked cookies. Thank you BG! You guys are the best! Setting the bar very high, once again. There are some great puns in this article. Glad you liked all the puns! Design Director , BuildingGreen, Inc. This entire article was so well done, as usual. I guess next year you'll have to add hemp in there somewhere. And Brendon, I never would have figured you to have such a great sense of the ridiculous and sublime. It's going to be tough waiting for a whole year for the next one!